S Bhat, IL&FS nominee director, to a foreign director: “One day, if you are put behind the bars, you will come to know. Director: I am not going to be put behind bars. S Bhat: You will be there, you just see. Just because you are a Singaporean citizen, you think you can get away with murder? (shouting). Director: You just see (also shouting). Another director butts in to correct him - He is an American citizen (not Singaporean), he says. S Bhat (unperturbed): You will be locked up on Friday night. You cannot go to the magistrate and, on Monday, you will be released! Director: You know you have already tried and failed miserably. When the director asked that this threat be recorded in the minutes of the meeting, the chairman refused. The incident had occurred at an audit meeting of NTADCL in May 2018 when things got rather heated. This was not an idle threat. Starting 2011, IL&FS, then headed by Ravi Parthasarathy (founder and ex-chairman of IL&FS), had tried hard to get this director arrested on a criminal defamation charge because he was raising uncomfortable issues. Since IL&FS is a private organisation, the defamation notice had to be issued through the Indian home ministry and the high commission of Singapore. It took four years for this process; but IL&FS’s friends in high places in the government ensured that it happened, without going into reasons for the drastic action. IL&FS’s defamation claim was also extraordinary; but more about that later. The whistleblower-director was fortunate he was not arrested on a visit to India. When the defamation notice was served on him in 2015, he moved the Bombay High Court. The matter was finally thrown out by Supreme Court as well; we will come to that later. Before going into why IL&FS had filed criminal defamation against its institutional director, I need to make four important points. Firstly, I have reviewed all court documents pertaining to this matter, but I am not naming the whistleblower-director because neither the government of India nor the new board of IL&FS has shown any inclination to end the malicious legal proceedings so far. IL&FS is packed bureaucrats of the Indian Administrative Service (IAS), who either remained mute spectators or were active participants in its vicious scheming, and they continue remain in key positions even after the board of the holding company was sacked. Secondly, IL&FS spent a whopping Rs216 crore on legal and consultancy cost in FY17-18 alone. That kind of annual budget can get a lot of things done in India, many of them unsavoury. Thirdly, IL&FS’s attempts to harass and intimidate directors were not restricted to one individual. It has continued to pursue the defamation case against other directors of the foreign investor before the magistrate’s court even after the Uday Kotak-led board has taken charge. Fourthly, I have brought the details of this case to Mr Kotak’s attention including the fact that Mr Bhat, who threatened to have this whistleblower-director arrested, remains on the board. 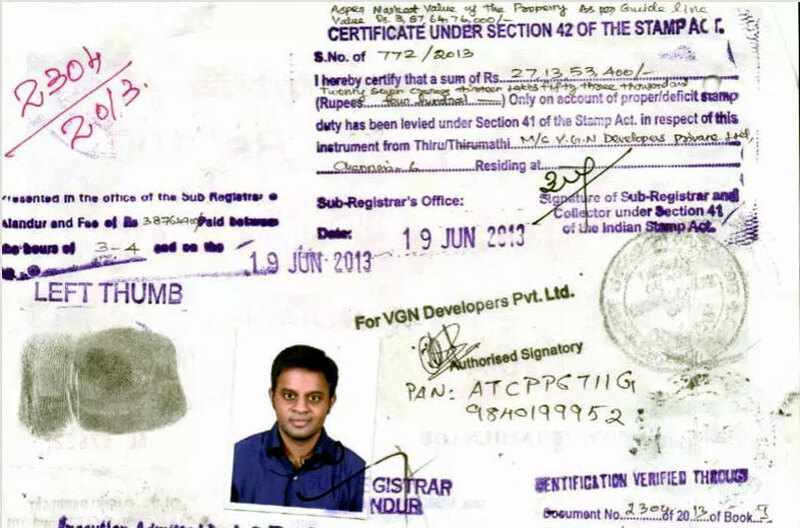 Mr Kotak says he is having this examined by the legal department. It is not clear whether the same legal team will sing a different tune now. Coming back to the whistleblower-director, let’s examine whether his actions were defamatory or was this harassment a part of IL&FS’s diabolical strategy of ensuring that nobody (whether from the IAS, or employees or directors) dared to question its dealings and way of working. Several of them freely admit that they are scared to speak even today. IL&FS has been run like a personal fief by a small group of men, headed by Ravi Parthasarathy, for almost three decades. Problems at NTADCL cropped up when one of the foreign investors as well as Life Insurance Corporation of India (LIC, to some extent) began to demand increased transparency after they came in as investors. A point of contention was that IL&FS intended to deduct massive fees and expenses from the funds procured by IL&FS, but this was not been fully disclosed and brought to the attention of the board. 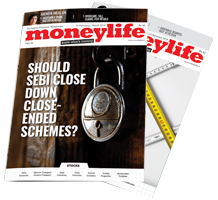 Moneylife has written about how this landed in court leading to limited strictures in a Madras High Court judgement in connection with a corporate debt restructuring proposal. More serious issues cropped up over Rs90 crore procured from the USAID (a US development fund), in 1997. The board minutes in 1997 show that IL&FS’s former vice-chairman Hari Sankaran had committed to the NTADCL board that IL&FS would bear the interest payable on the funds kept in an escrow account with Bank of India. IL&FS, he said, would also bear other expenses and the interest burden would not have to be borne by NTADCL. But chairman Ravi Parthasarathy (in a letter dated 25 September 2002), wrote to NTADCL's managing director to say that the costs would have to be borne by the company. 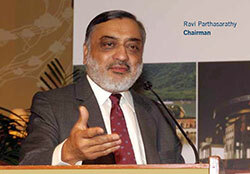 The board was not informed about Mr Parthasarathy’s letter of 2002, until March 2010. NTADCL's managing director, an IAS officer, later joined the company as an IL&FS employee. A special audit was conducted by M/s R Janakiraman & Co., and the whistleblower-director informed the foreign institutional investor, who then wrote to the other shareholders of NTADCL as well as the Reserve Bank of India (RBI) and the vigilance department of IDBI about the adverse findings of the special audit. Stunning as it may seem, IL&FS filed criminal defamation proceedings against the whistleblower-director (representing a foreign institutional investor) for even writing to RBI and IDBI about its lack of transparency in a fairly strong language. Had they acted on the letter, the fate of IL&FS may have been different. As I wrote earlier, the whistleblower-director petitioned the Bombay High Court, which heard the arguments at length (on the opposite side was the state of Maharashtra, along with IL&FS, which was arguing that the case be heard by the sessions court) and quashed the defamation case on 22 July 2015. The order took note of the special audit findings of ‘unwarranted deductions’ that IL&FS had made. A Madras High Court order has also noted the same. IL&FS went back to the Bombay High Court seeking an amendment to the order; but the High Court refused it on 12 August 2015. IL&FS then challenged the order in the Supreme Court, which also dismissed its special leave petition on 27 September 2016. Scandalously, as I mentioned earlier, IL&FS continues to pursue its allegations against other directors of the foreign investor, even after the Uday Kotak-led board has taken over. After the ignominious collapse of IL&FS, a question that has been repeatedly asked is: Why did the watchdogs fail to bark? The Securities & Exchange Board of India (SEBI) wants the board of directors to check corporate malfeasance and the Companies Act, 2013, has imposed onerous responsibility on them. But who stands by those directors who have dared to speak or raise their voice? On the contrary, the government and the regulator have signalled that, as a director or even as a chairman of a large corporate group, you are on your own (remember Cyrus Mistry’s fate?) when it comes to actions or allegations by management! Similarly, DC Anjaria, even as head of the audit committee at GIFT City (Ahmedabad) was ousted and defamed when he dared to raise his voice. For two years, from 2016 to 2018, no media would touch his story even after he filed a PIL (public interest litigation). The founder of RAHI Aviation, another joint venture to develop airports in Karnataka with IL&FS, was not so lucky. Unaware of how vicious IL&FS could get, he ended up in Mumbai’s Arthur Road Jail for six months because of the constant machinations by IL&FS to ensure that his bail was denied and later delayed. Given that it takes 15-20 years for any legal matter to be settled, it has all but destroyed his life and corporate career. The RAHI founder’s emails of 2 October 2015 to the then RBI governor Raghuram Rajan and civil aviation minister Jayant Sinha (both were his classmates at IIT-Delhi) and the Maharashtra chief minister, blowing the whistle on IL&FS’s dubious dealings were ignored. Had anyone acted then, the systemic damage caused by IL&FS could have been contained. The details of that story require a separate narration. But both cases probably begin to explain why even those officers (including several IAS officers) who left the IL&FS group after serious differences have not blown the whistle in any formal manner. Many refuse to speak even today, because they are still not sure that the government wants to take the investigation to its logical conclusion and not bury it. IL&FS has had a special, often practiced modus operandi: first, blame the victim for its faults. If that didn’t work, try intimidation. If that didn’t work, try again using every other resource at their disposal, including government ones, to suppress voices. Alas, what is being reported nowadays won’t change what has happened. But, it’s up the new board, led by Asia’s richest banker renowned for good governance to change old habits at IL&FS. The place to start sooner rather than later is with each of the 348 group companies’ boards of directors. (I have texted Mr Harmander Singh, chairman of NTADCL and two other IAS officers S Krishnan and L Krishnan seeking their comments on the sordid goings-on at the board meeting. None of them have replied. This column will be updated with their response, if any). This article has been updated with additional facts. Salute Madam for your courageous reporting. Can I request you to arrange a dialogue regarding this topic with S. Gurumurthy, Editor Thuglak Magazine for Tamil readers. He has spoken about Tirupur developments in various functions and this will be of eye opener for Tamil readers. Thank you. Praying for your safety. Now there is someone who is now exposing ILFS. It's a true and there are much story behind. Best would be catch elite IAS officer who worked here with full honesty and later shown the gate in a very absurd manner by the sacked directors. Compliment you for putting these details in public domain. Bureaucrats and politicians responsible for inaction will have to sooner or later speak up. That the special audit findings were not given the attention they deserved and Audit Committee Chairman had to resign are serious matters. In public interest more such exposures will help. Excellent Journalism. My salute to you. speaks very poorly of the current board. after reading this,i am convinced the ilfs wrongdoers will escape any action. r p left the country for the u k -and has returned. govt obviously doesn't want another v m, nirav type scandal, so was he cajoled into coming back. funnily this chap going to the u k wasn't reported at all in the media after the ilfs implosion. one would have thought it's news. just one paper reported it today. It would be a economical tragedy but Mr Bhat is no loger on IL&FS Board now which is good. There is no official intimation to the company. if you know more, do share! Talk of swachchh,governance,cleaning, here is dirtiest blunder! It is clear that IL&FS was being run by a Sicilian mafia gang and not professionals. It would be a tragedy if economic terrorists like Ravi Parthasarathi, Harishankaran, Bhat etc are not put behind bars for the rest of their lives and thrown into a Bihar prison. Absolutely shocking! I thought IL&FS was a matter of himalayan financial mismanagement. But it turns out to be a case of not only extraordinary loot, but also a of gigantic loot and criminality. Thugs like Hari, Ravi, Bhat, Vaibhav et al must be divested of their loot and put in jail. This renders the resolution also so much more difficult. If these thugs splurged so much money on non-productive acts, imagine how much they must extracted from the assets by padding? My view is that the secured lenders will recover from assets less than one third. Unsecured lenders will not get spittle even! The government's resolve is at stake! It passed one test when it heeded Moneylife's advise to sack the board. Will it take the next logical step? the board was sacked not on moneylife's advice but bec govt feared a systemic collapse. had they heeded ml's cols over the years, we wouldn't be in this mess. IL&FS Mess: Did LIC Violate IRDAI Guidelines while Increasing its Stake? Life Insurance Corporation of India (LIC) increased its investment in Infrastructure Leasing and Financial Services Ltd (IL&FS) way beyond the stipulated 15% without seeking any permission or approval from the Insurance Regulatory and Development Authority (IRDAI). In fact, LIC completely ignored IRDAI guidelines and gave itself the powers to increase its investment in IL&FS, reveals a reply received under Right to Information (RTI) Act. Responding to the RTI application filed by Kirtikumar Bhatt, IRDAI clearly stated that LIC has not filed any application or sought permission for raising its equity or debt investment in IL&FS. "LIC has not made any application to IRDA. 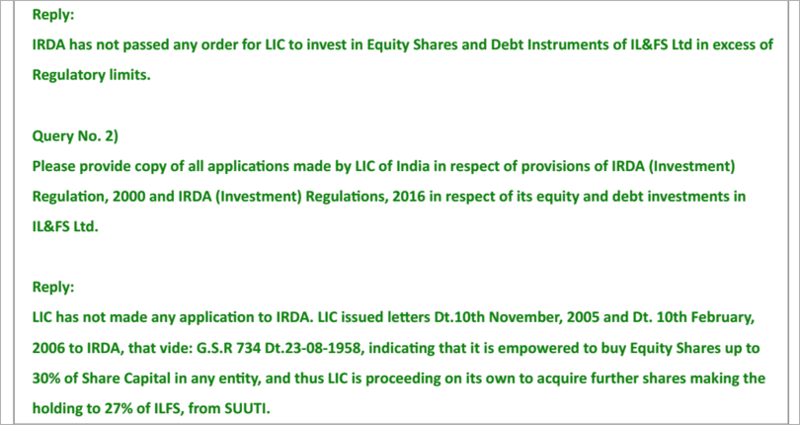 LIC issued letters on 10 November 2005 and 10 February 2006 to IRDAI, that vide: Govt statutory resolution (GSR) 734 dated 23 August 1958, indicating that it is empowered to buy equity shares up to 30% of share capital in any entity, and thus LIC is proceeding on its own to acquire further shares making the holding to 27% of IL&FS, from Specified Undertaking of Unit Trust of India (SUUTI)," the RTI reply says. At the same time, IRDAI has not passed any order against LIC. The RTI reply says, "IRDA has not passed any order for LIC to invest in equity shares and debt instruments of IL&FS Ltd in excess of regulatory limits." In 2013, the insurance regulator revised its investment regulations for insurance companies, linking it to the fund size. Insurance companies can increase their exposure in equity in a given company from 10% to 12% and 15%, depending on the size of their controlled fund. However, if LIC wants to own more than the prescribed limit of 15%, it has to get approval from its board and IRDAI. It can own as much as 30% in some companies under a special dispensation from the government. However, in the case of IL&FS as per the RTI reply, LIC did not ask for any permission from the insurance regulator and citing a GSR from 1958 proceeded to increase its stake in the debt-ridden group. As per IRDAI (Investment) Regulations, 2016 there are certain prudential norms for exposure of insurer in an investment. While the stake of LIC in IL&FS is quite substantial, the insurer cannot claim to be a promoter. The reason is as per IRDAI Investment Regulations, exposure limit to companies belonging to promoter group is capped at 5%. As per note 7, under Regulation 9, an insurer should not have investments of more than 5% in aggregate of its investment assets in all companies belonging to the promoters’ group. Investment made in all companies belonging to the promoters’ group should not be made by way of private placement or in unlisted instruments like equity, debt, certificate of deposits and fixed deposits held in a scheduled commercial bank, except for companies formed by insurers under Note 12 to Regulation 9, the note says. As on 31 March 2018, LIC and ORIX Corporation of Japan were the largest shareholders in IL&FS with their stakeholding at 25.34% and 23.54%, respectively, while Abu Dhabi Investment Authority (ADIA), HDFC, Central Bank of India (CBI) and State Bank of India (SBI) stake holding are at 12.56%, 9.02%, 7.67% and 6.42%, respectively. IL&FS was incorporated in 1987 with the objective of promoting infrastructure projects in the country. IL&FS was promoted by the Central Bank of India (CBI), Housing Development Finance Corp Ltd (HDFC) and Unit Trust of India (now SUUTI). While SUUTI has largely exited (stake of 0.82% as on 31 March 2018), the shareholding has broadened over the years with the participation of many institutional shareholders. Every passing day, there is some new revelations coming out from the mess of Infrastructure Leasing and Financial Services (IL&FS) and its 348 group companies. IL&FS Trust Co Ltd, a subsidiary of IL&FS group, accepted a value of Rs280 crore as mortgage for a property bought on same day for Rs272 crore, reveals a report. 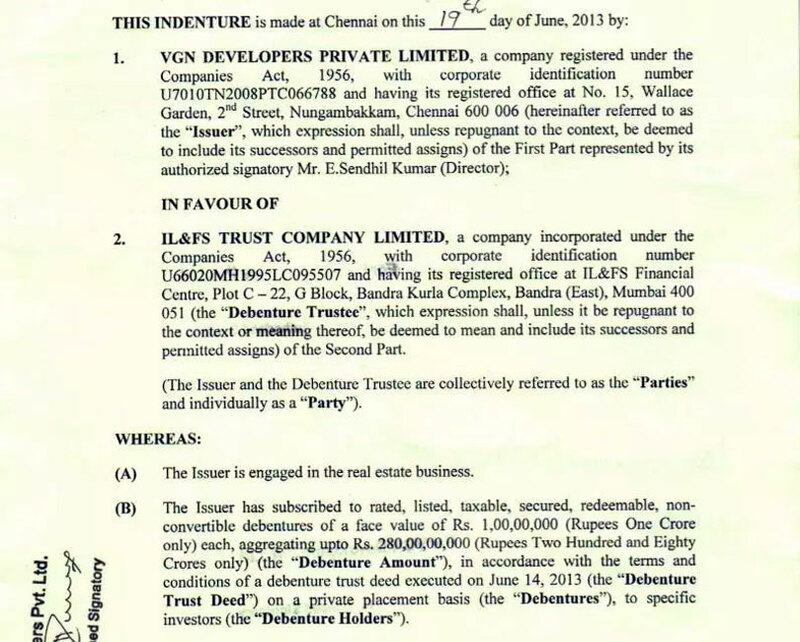 According to the report from Savukkuonline, VGN Developers Pvt Ltd paid Rs272 crore for 11.021 acre property in Guindy belonging to Chennai-based Hindustan Teleprinters Ltd (HTL). In the bidding process with bankers led by State Bank of India (SBI), the report says, VGN Developers was the sole bidder who made an offer of Rs272 crore for the property. "On the same day the deal was finalised, VGN Developers mortgaged the property to IL&FS Trust Co for Rs280 crore. While it is the normal banking standard to pay 80% of the mortgaged property value as loan, VGN Developers purchased this property for Rs272 crore and mortgaged the same for Rs280 crore," the report says. According to Vistra ITCL, the debentures issued by VGN Developers for Rs280 crore were fully subscribed on a private placement by several financial institutions. Later in 2017, the debentures were redeemed by the developer. The consortium of banks headed by SBI had fixed the reserve price for the HTL property at Rs250 crore and finalised the deal on 19 June 2013 for Rs272 crore with VGN Developers. "As per registration department records, the guideline value of the said land comes to Rs376.26 crore as on 19 June 2013, when the sale was finalised. VGN Developers paid a stamp duty for a value of Rs376.26 crore and not for the actual sale price of Rs272 crore," the report says. Main question here is why would a subsidiary of IL&FS group would accept a higher value for mortgage when the property was bought for less? According to the data compiled by REDD Intelligence, the debt-ridden IL&FS group holds assets of around Rs1,65,000 crore. Its corresponding total liabilities is around Rs1,32,000 crore. The reported consolidated liabilities at IL&FS (holding company), is around Rs1,06,500 crore and inter-group liabilities is around Rs25,500 crore. 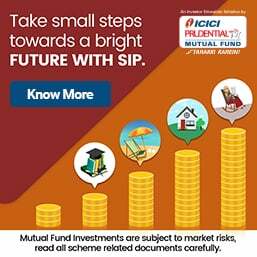 Similarly, inter-group assets comes around Rs49,000 crore, indicating an equity of Rs23,500 among the group companies. Despite running scores of different projects and businesses, IL&FS has reported a loss or meagre profit over the past three years for which data is available. Over the past 10 days, many of these victims have begun to speak out, especially after the gold-plating of the GIFT City project was exposed by Moneylife. IL&FS defaults on Rs1,000 Crore Short-term Loan from SIDBI? IL&FS: Regulatory Capture or Plain Defiance? Is LIC bailing out Debt-laden and Liquidity-strapped IL&FS?